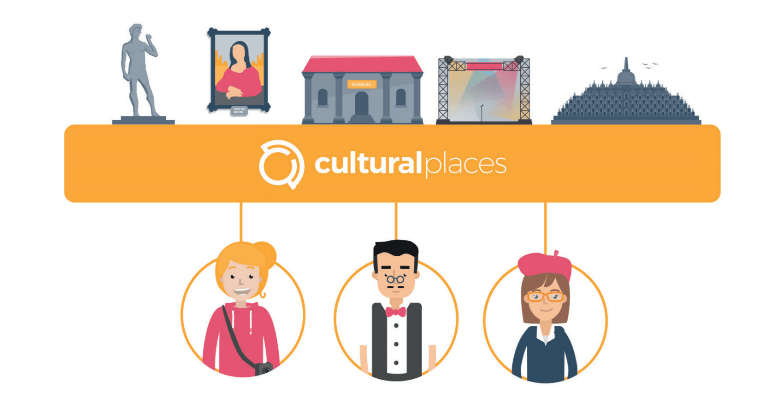 Cultural Places is the first holistic platform in the cultural sector that connects visitors, institutions, artists, content creators and donors. Cultural Places will disrupt the cultural sector as it redefines the relations between all stakeholders and creates new business opportunities. The core is its own crypto currency – the Cultural Coin – based on blockchain technology. That reinvents and simplifies cultural financing, sponsoring and ticketing. Cultural Places will disrupt the cultural industry worldwide and will become the gamechanger in the cultural sector. Building the first holistic platform that connects culture lovers, all kind of cultural institutions like museums, tourist sites and event venues with artists, a variety of content creators and donors. Cultural Places has a completely new approach to ticketing, sponsoring and funding – based on blockchain technology. With Cultural Places institutions may offer an innovative, unique and interactive visitor experience. And the platform will transform to a social network for everyone in arts and culture. Cultural Places has its own currency: the Cultural Coin. Every transaction within the platform will be done with the Cultural Coin. This crypto coin enables a unique loyalty program offering lots of benefits to all participants. Cultural Places is not just a visionary concept. The first edition of the app is already developed and available. The number of partner institutions grows by the minute. Already more than 30 sights and institutions in six different countries like the famous Stephansdom in Vienna and Borobudur Temple in Indonesia – the world’s largest Buddhist temple – are already Cultural Places’ partners. 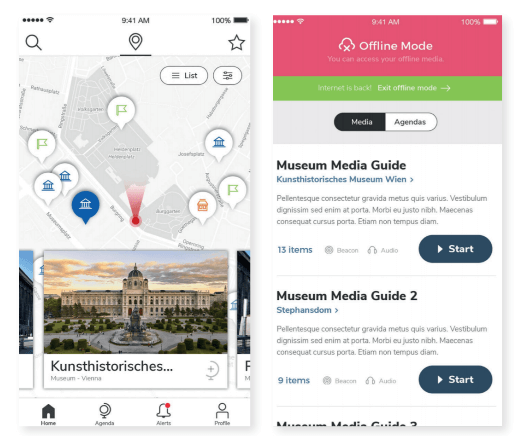 OROUNDO Mobile GmbH is the creator and operator of the Cultural Places project. Oroundo was founded by Patrick Tomelitsch and Klaus Windisch in 2014 in Vienna, Austria – a country known for its tradition in music, arts and culture. The founders worked for more than three years on the vision and the concept. The rollout and development of Cultural Places will be financed via an Initial Coin Offering (ICO). This opens new opportunities and makes Oroundo an Austrian pioneer. And it’s easy and open to nearly everyone to become part of the Cultural Places’ success story: To participate in this project and benefit from this groundbreaking idea now, you just have to register on the ICO website (www.culturalplaces.com). You need a valid email address and a Ether wallet. You don’t have to be a cryptocurrency expert to be part of this venture. Cultural Places (CP) will connect every user interested in culture worldwideawo a complete new and holistic cultural ecosystem. Cultural Places will become a social network for every traveler who is planning a cultural related trip, any interested person who wants to buy or sell cultural related items (digital and physical) and everyone who wants to meet other culture lovers, artist and culture professionals. 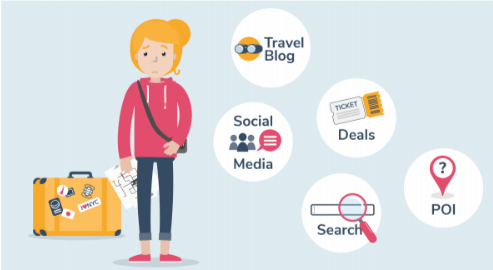 tural Places ecosystem will be the use of smart contracting via blockchain technology and an own cryptocurrency for ticketing, crowdfunding, guided tours and shop payment – building up trust and security in the cultural economy. Leveraging blockchain technology Cultural Places also will provide a secure environment for digitized cultural content. The current App is just the first step. The project will grow. Cultural Places will develop, make progress and change the way we enjoy, live and work with culture – step by step. There will be new crucial features. The platform will bring user experience to a completely new level and Cultural Places will establish as a social network for culture lovers. Cultural Places will expand to a virtual museum and will become leading edge in digital presentation of cultural heritage and opening access to every cultural place within the network to the world wide web. The Cultural Coin will become the virtualvirtual c in the Cultural Places world and the app’s internal cultural wallet will give full control on holding Cultural Coins and tickets. The features in Cultural Places will also be whitelabeled to make the technical infrastructure useable for other related business cases. This product will provide an efficient, easy, secure and fair-priced solution to be used in various business fields. Cultural Places is going to build APIs to the mostly used webshop and ERP systems. This makes the infrastructure and payment model usable for many existing solutions on the market. Cultural Places’ partners will be able to sell their online-store-items to the Cultural Places community and generate additional reach and revenue streams. Cultural places will also allow institutions to integrate the Cultural Places ticket infrastructure into their current working ERP solutions.